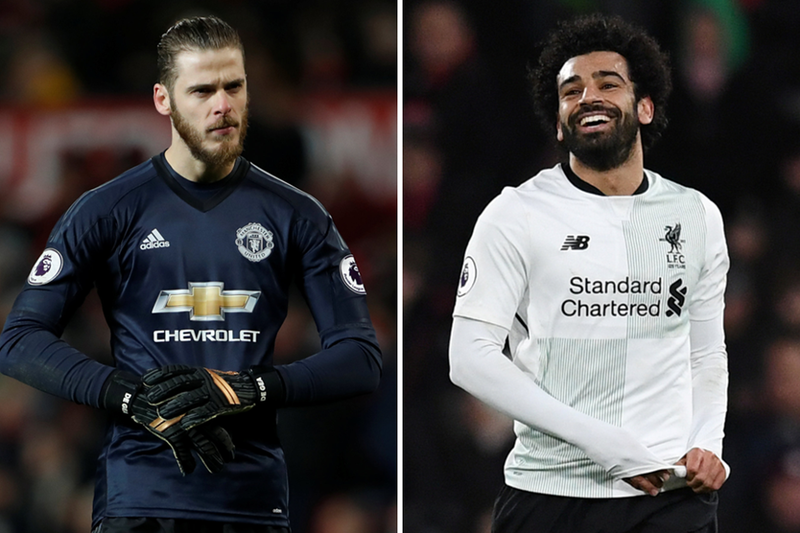 The Premier League's top shot-stopper David De Gea comes face to face with the league's joint-top scorer Mohamed Salah on Saturday in the 200th meeting between Manchester United and Liverpool. De Gea has been in outstanding form for United this season, having conceded only 22 league goals. The average goalkeeper would have been expected to concede 36 goals based on Opta's expected goals (xG) data for shots on target he has faced. This is the biggest differential by a Premier League goalkeeper this season. The agile 27-year-old boasts the best save percentage in the league this season with a whopping 81 per cent save ratio, conceding 22 goals from 116 shots on target faced. No goalkeeper has finished a Premier League season with a higher save ratio since he joined United. The average save percentage for a top-tier side this season is 68 per cent, with Simon Mignolet's ratio at 59 per cent and Loris Karius's at 68 per cent. The statistics below underline how De Gea is having his best season at United. United faced 19 shots in the goalless draw at Anfield last October, with De Gea making five saves, of which one was from Salah. That was the first time that these two players had faced each other. Salah has been in scintillating form this season and is currently the joint-top scorer this term with Harry Kane, on 24 goals. No player has been involved in more PL goals this season than the Egyptian. He also has an impressive record against the top-six sides this campaign with seven goals and two assists in eight matches, no player has scored more league goals in top-six head-to-head matches this season. Should he score Saturday, the African Player of the Year would become the first Liverpool player to score 25 Premier League goals in his debut season. Fernando Torres scored 24 back in 2007/08. Salah will also be chasing Luis Suarez's Liverpool record of the most Premier League goals scored in a season, 31 in 2013/14. A fascinating tussle awaits between this world-class duo on Saturday.